When you upload an image with Gyazo App, a unique URL (link) will be given to each uploaded image. 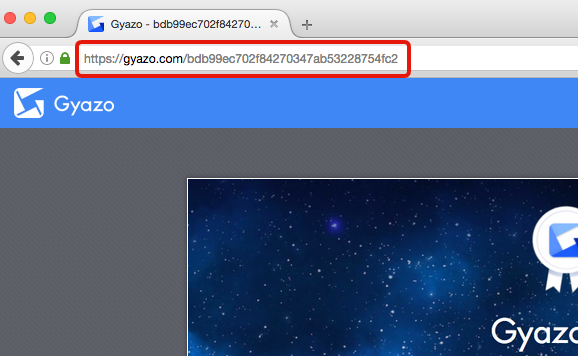 In order to share a Gyazo image page, simply give the URL of the image to someone you want to see it. The person who has the URL can access the link with web browser to see the image. Unless you share the URL of the image page, you are the only one who can access the image. 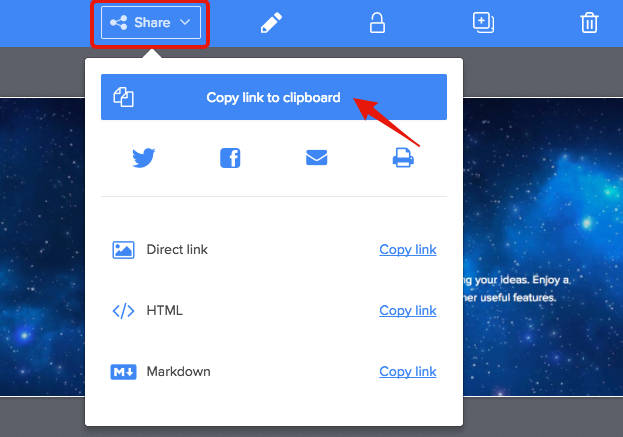 You can copy the link from the address bar or if you just uploaded an image it is already in your clipboard.